KONICA MINOLTA DIGITAL CAMERA If you’re like me and have an interest in the imports, it’s worth the drive to Saratoga Springs for the Hemmings Sports & Exotic Car Show. 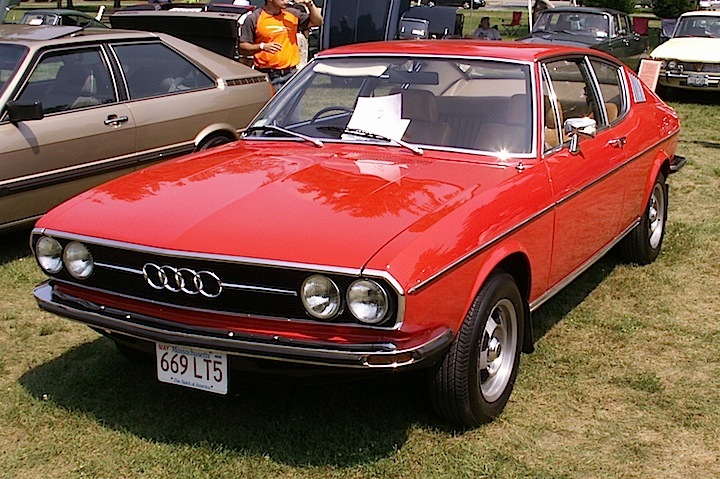 This year will mark the event’s 10th anniversary, and it will be held Saturday, August 1 — more info @ http://www.hemmings.com/events/saratoga This is where in 2012 I ran across this 1974 Audi A100 Coupe S. Just this past Saturday I was reading somewhere that these coupes were never officially imported into the US, and that there were only five known to be in the country. Well, I guess this was one of them. Very nice, indeed. — Jim Corbran, RRofWNY The post RealRides of WNY appeared first on Buffalo Cars.